The perfume house of M. Micallef got in touch with me again and asked if I would be interested in reviewing their new, Ylang in Gold fragrance. Given the awesome Vanilla scents I tested from their last location, I really couldn’t say no. In Bottle:Sweet, a little fruity up top with a nice clean and fresh vanilla background. Applied: Sweet fruitiness, refreshing upon application. I get vanilla almost instantly with a clean waft of mint. As the fragrance wears on, the vanilla calms down a bit and the sweetness gets tempered by a pleasant mix of ylang-ylang and soft lily. The scent is very light, almost creamy with a lovely smooth aroma that I guess is coming from the combination of clean musk and coconut. The longer I wear it, the more vanilla comes back to further smooth out the scent. In the end, I get soft vanilla musk with a hint of woods and the barest reminder of ylang-ylang. Extra: Ylang in Gold is the third member of M. Micallef’s Jewel Collection that features Jewel for Her and Jewel for Him. Ylang in Gold comes in two forms, one with a gold dust mixed with the juice and another without the gold dust. My sample didn’t have the gold dust. I’m not a big fan of shimmer on my skin so I actually preferred to go without it. 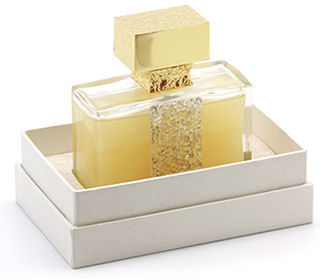 Design: Like with most bottles by M. Micallef, Ylang in Gold was hand decorated with little Swarovski crystals. I really like the presentation of it. The shape of the bottle is fairly standard, but the designs help give it a bit of uniqueness and luxury flare. It’s very fitting for its collection, looks quite nice, and is presented rather nicely. Notes: Tangerine, geranium, sage, rosemary, artemisia, ylang-ylang, rose, lily of the valley, magnolia, mint, sandalwood, coconut, vanilla, musk, oakmoss. I can best describe Ylang in Gold as a very soft vanilla with a nice sprinkling of Ylang-Ylang. It’s pleasant, very wearable and a bit sophisticated. If you’re interested in a bottle, you can nab one at LuckyScent as well as at their Scent Bar physical store, Parfum1, Parfumerie Nasreen, and Osswald NYC. Reviewed in This Post: Ylang in Gold, 2012, Eau de Parfum. A pleasant surprise arrived for Christmas 2011–a book of perfume samples. Many of the fragrances were new and I was just thrilled. 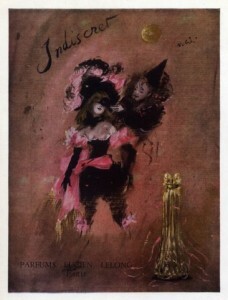 Estée Lauder’s Beautiful was one of the first I pulled out and giddily peeled back the flap to smell. In Bottle: Extremely floral and a bit powdery. There’s no floral standing out, it’s just a big homogenous bouquet at the moment. Applied: Initial hit of citrus then the floral bouquet rolls into town and takes over the whole operation. From then on, it’s all flowers all the time. Now, I love a good floral fragrance. But the key is balance and moderation. It seems like those are the two things missing from this iteration of Estée Lauder’s Beautiful. I heard the original Beautiful is a far different animal. So don’t turn yourself off from the classic based on what I say about this contemporary version. The florals in Beautiful really do smell like a confused mish mash that doesn’t quite know what it wants to do with itself. The scent seems to suffer a bit from over composition where there are too many ingredients vying for space and there just isn’t enough space to go around. The result is a fragrance that people can distinguish as “flowery”, but no one can truly say what kind of flower. I’m not the kind of person who just likes smelling like a bunch of flowers. I wanted more depth to it than this, but Beautiful settles into it’s explosion of florals in the midstage then ends it all with a bit of cedar at the end as my nostrils continue to burn from the florals thrown at me earlier. Extra: The first iteration of Beautiful was released in 1985. It has since gone through a few cosmetic changes and some formula changes. I do not have any access to classic Beautiful, which is a real shame as I’d love to see how it compares to this. Design: The bottle is reminiscent of Calvin Klein’s designs. I want to say Obsession for Women comes to mind when I look at this, but Beautiful is a little easier on the eyes. It’s metallic cap really helps pull it together a little more. Notes: Bergamot, lemon, cassia, fruit, blackcurrant, galbanum, mimosa, magnolia, carnation, chamomile, tuberose, orange blossom, freesia, lilac, narcissus, jasmine, neroli, clary sage, violet, iris, lily of the valley, ylang ylang, marigold, geranium, sandalwood, myrrh, vanilla, vetiver, cedar. As I looked up the notes list for this one, I found every single source listed an enormous amount of stuff. I just ended up picking out what I thought I could get out of this. In the end, I’m sorry, Beautiful, but you really just smell like flower stuff. 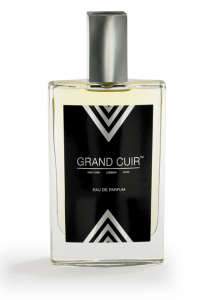 Reviewed in This Post: Beautiful, 2011, Eau de Parfum. The Montale line of fragrances is known for its numerous different interpretations of aoud. I find it kind of funny that up until now, I only had non-aoud samplers. But that’s okay, I’m going to remedy that by smelling Montale’s Wild Aoud. In Bottle: Whoa, lots of aoud in this one with an underlying hint of warm smokiness. Very nicely done. Applied: Bergamot with sharp citrus as the aoud comes up rather quickly as the scent heads into its midstage followed by a soft floral presence that lingers in the background of the fragrance. As Wild Aoud continues to progress the florals disappear while the aoud continues to go strong as a clean woodsy note settles into the midstage marked with a progressively smoky personality as the fragrance keeps aging the dry down smells like a warm amber and smoky patchouli fragrance with that–by now–familiar aoud scent. Extra: I haven’t gone out to seek many aoud fragrances but many perfumistas love the aoud note. Aoud is a resin that forms in the heartwood of Aquilaria trees when they are infected by a certain type of mold. The smell, to me, has a very pungent animalic quality with a hint of sweetness. Unpleasant on its own but mixed well into a fragrance and it can give the perfume a whole different dimension. Design: Designed in much the same way as many other Montale fragrances. A rather plain-looking metal bottle that is, in this case, a warm dark brown color. It’s functional though not entirely exciting to look at. The most fascinating part of these bottles are the toppers. 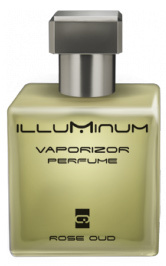 Notes: Bergamot, geranium, artemisia, aoud, teak wood, patchouli, tobacco. Wild Aoud is a nice fragrance that showcases the aoud note in it, but given how many aoud based fragrances (many in Montale’s line too) , I do wonder if there are any that interpret aoud in a different way. This makes me want to hold off on committing to an aoud until I’ve tested more. Reviewed in This Post: Wild Aoud, 2009, Eau de Parfum. Usually when a fragrance company says they’ve taken one of their classics and ‘modernized’ it, big red alarms go off in my head. I’ve never had the pleasure of sampling the original Fougere Royale from 1882 and the oldest vintage I’ve even seen was on an eBay auction of questionable quality. So I went into this 2010 reformulation with as little knowledge of the original perfume as possible–being ignorant of the original fragrance, I’m going to have to say Fougere Royale 2010 is pretty darn good. In Bottle: The lavender note is rather strong in this, dominating for the moment over the green herbal quality of the fragrance. There’s a spiciness in the background that blends in beautifully with the rest of the fragrance making Fougere Royale smell sophisticated. Applied: Opens with a clear greenness to it layered over a lavender note that’s helping a spicy floral note along that might be the carnation. As the fragrance heads into its midstage the lavender sticks around but also blends in with a strong herbal note that I presume is the clary sage. There’s a lot of complexity in this fragrance but I can pick out a few key notes here and there. Most notable is the lavender, then the sage and a spicy note in the midstage where I get the cinnamon notes. The final dry down is marked with a creamier personality as the tonka and amber notes come up to blend with the herbal and spicy notes. The lavender is still faintly recognizable in the dry down as well. Extra: Fougere Royale has had a tumultuous past, much like the fragrance house that originally released it. After its release in 1882 it has gone under numerous reformulations. Like with all modern fragrances, any oak moss note is likely to be synthetic or a substitute. The original Fougere Royale was composed by Paul Parquet and was considered one of the first modern fragrances thanks to its use of synthetic coumarin. 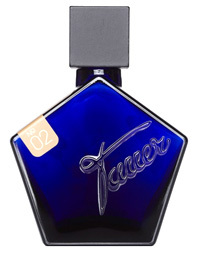 The 2010 version of Fougere Royale was composed by Rodrigo Floures-Roux (Clinique Happy, John Varvatos Artisan and Artisan Black). Design: Fougere Royale 2010 is designed to appeal to a more masculine audience with a square-ish bottle featuring cut patterns in the glass. The bottle reminds me a bit of classical fragrances but also remains a little bit of modern appeal. It’s a pretty good design that does the fragrance and its history justice, in my opinion. Notes: Bergamot, chamomile, lavender, herbs, carnation, geranium, cinnamon, rose, patchouli, oak moss, amber, tonka bean, clary sage. I do believe Fougere Royale 2010 did the best that it could with a notes list from the 1800s that would have been expensive and near impossible to replicate now. I don’t doubt that 2010’s version and the fragrance from 1882 would smell drastically different but the 2010 version is a great fragrance nonetheless. 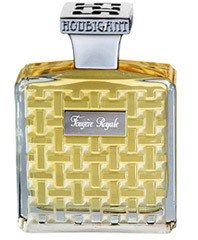 Reviewed in This Post: Fougere Royale, 2010, Eau de Parfum.